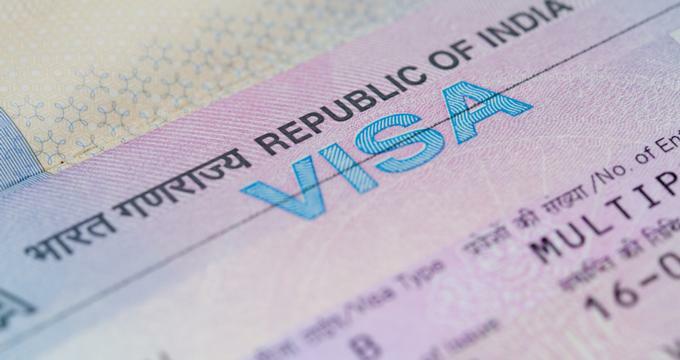 All nationalities, US Citizens included, have to apply for a Visa if they want to travel to India. It’s a long but otherwise easy-to-learn process that just takes some getting used to. The process may vary slightly depending on your purpose for the visit, as well as the kind of visa you’re applying for. There’s also the matter of different ways of applying for the same kind of Visa, so you need to familiarize yourself with those as they might prove useful in the future. Needless to say, the best way to learn about all this is to visit the official website of the Consulate General of India, as their information is official and updated. India’s Short Term Visa can be applied for and acquired via application on arrival or E-Visa. The brand new E-Visa system is currently the most practical means of getting an Indian Visa for all US Citizens. Successful applicants will then get a visa that’s good for sixty (60) days of travel. Although people call the E-Visa as a kind of “visa on arrival” it is far from that - you still need to apply in advance. American citizens are among the 161 nationalities that can apply for an Indian E-Visa. Those who have the E-Visa can enter India through the Cochin, Mangalore, and Goa seaports as well as 24 airports of the country. E-Visas have three subcategories, namely the e-Tourist Visa, e-Business Visa, and the e-Medical Visa. The entire process is all done online and you’ll get your Visa via email which you have to print and bring with you when you go to India. The visa will then be attached to your passport. This really makes planning holidays to India a lot quicker since you don’t have to send your passport and wait for two weeks processing. You just need to get used to filling out the forms and filing the paperwork asked of you. Any mistake could cause you to go through the whole process again. Note: If your parents and/or grandparents were born in Pakistan, you need to apply for the visa through traditional methods, as you won’t be allowed to apply for an E-Visa regardless of your current nationality. India is a pretty big tourist destination, so there will be US travelers who will want to have longer vacations. So if you plan on staying in India for more than 2 months, then you’ll want to get a long term visa, which entails a different process. You’ll have to send off your passport from the US through Cox and Kings for processing. US citizens are lucky enough to be able to apply for a visa that lasts up to 10 years, much longer compared to the 6-12 month visas other nationalities can get. This is especially useful if you plan on flying in and out of the country over long periods of time. Of course, these require a lot more requirements since they are different from the typical tourist visa. One of the more notable requirements is that the passport must be at least 6 months valid at the time of the application and must have two blank pages for the stamp. When talking about costs, it’s important to remember that the actual amount needed may vary between different nationalities, occupations, and other factors. The rates may even increase each year. At some point, the 10-year multiple entry visa for US passport holders would cost around $120, but now they cost $150. These fees include admin fees. Paying for the visa and getting it approved are two different things, though. So make sure you comply with all the requirements as these fees are non-refundable. Before getting a visa via Cox and Kings, make it a point to read the site’s official Visa Application Guide thoroughly so you know what to expect. Thankfully, the CKGS official website adjusts to your nationality so you will get the information and requirements that apply to US citizens. Pay extra mind to the Document Checklist, which you must print and attach to your application. You might want to print two copies so you can use one to help you track your progress with complying with all the documents while the other gets attached to the application. Whether you apply by post or in person, you will still have to start with Cox and Kings and NOT with the Indian Consulate Website. As before, familiarize yourself with the process first before jumping into anything. When ready, start the online process and fill out the form. It’s a bit detailed and will take a lot of time. Follow instructions and details meticulously so as not to void the form. Finally, keep in mind that every person must apply for his or her own Visa. - Center to apply With: You will have to choose the right application center depending on where you live. Thankfully, this is chosen for you the moment you pick your state and residence. - Family Information: Make sure to be as accurate as possible. Also, keep in mind that the process will be different if you have parents or grandparents who were born in Pakistan. - Payment Method: You can either pay via credit card either online or through the designated Center. Cash payments, however, are only accepted for walk-in applicants. Each applicant must pay separately, including minors. You can’t pay with personal checks. Don’t forget the receipt. - Reference Numbers: Keep them, as they are essential for keeping track of your application’s status. Finally, the whole process would usually take about five to ten working days, give or take a few. Because of this, you should make it a point to apply for your visa for no less than 15 days prior the travel dates. Make sure to follow the requirements for claiming your passport if you didn’t opt to have it shipped to you.